Daffy Kickoff Party at Nantucket Culinary! 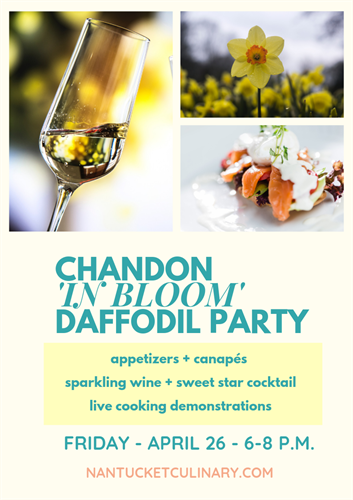 Kick off your Daffodil Weekend right - visit Nantucket Culinary for the Chandon 'In Bloom' Daffodil Party and tasting featuring the Sweet Star Cocktail and specially crafted appetizers. Tastes will be paired with a variety of sparkling wines.